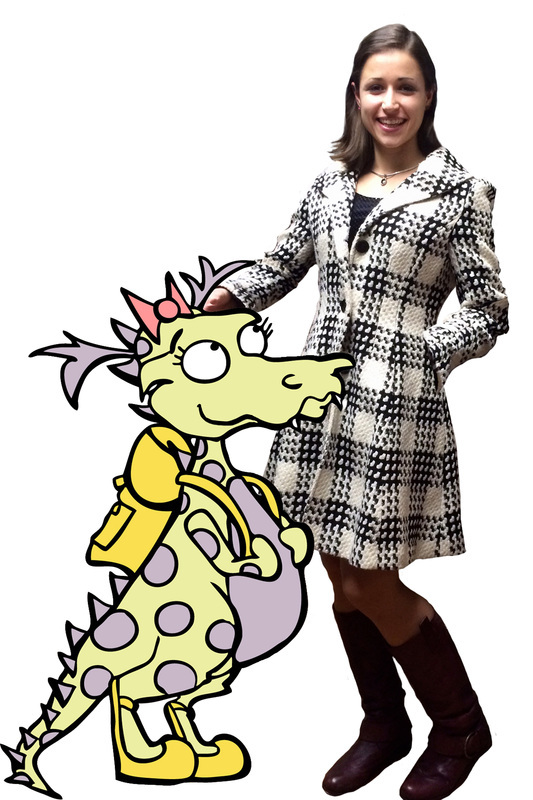 Rachel DiNunzio: Author and Illustrator. The daughter of an office supply salesman and an artist/chemist mother, Rachel was raised in Buffalo, NY along with her brother Alex. "We grew up surrounded by books. My mom was careful to always encourage imagination, pretending, learning, and most of all out of the box thinking. I had a tendency from a very young age to investigate one topic to the point of obsession until I was ready to switch to another. I needed to know everything there was to know about what I was interested in. My mom would take me to the library to take out every available book on the subject. Once I got involved with a new world and it entered my imagination, I'd be hooked." "My family loves to laugh!" Rachel grew up surrounded with influences of classic comedy with favorites ranging from Bugs Bunny, to Lucielle Ball, the Marx Brothers, Pink Panther and Young Frankenstein. She attended Rochester Institute of Technology achieving duo degrees in Illustration and Graphic Design. "I never thought I'd be a writer and still don't think of myself as one. It wasn't until I attended school that writing became something that I just did for me, not because an assignment was forcing me into it, but because I had...have...something to say." Rachel is currently working on her next books as well as with Xander Gaming Inc. developing hilarious board games.